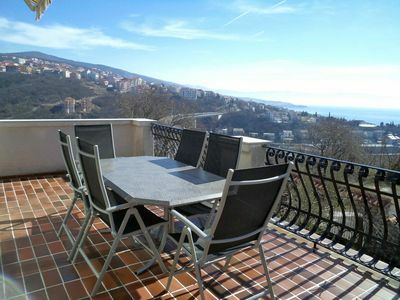 Large terrace with a stunning view of the sea is equipped with a table and chairs. In the garden there is a barbecue for all guests. 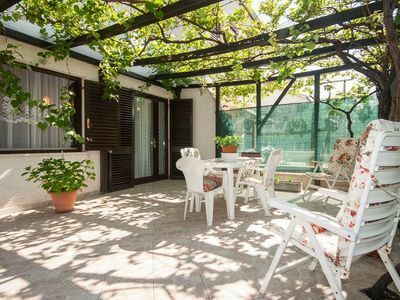 The apartment is equipped with wireless internet and satellite TV, use of air conditioning is possible for an extra charge of 5 € per day. 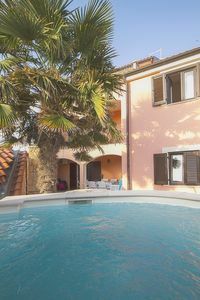 The apartment is located on first floor and consists of 3 bedrooms, kitchen equipped with kettle and coffee machine, dining room, bathroom with toilet, one separate toilet and a terrace. There is a possibility of using the washing machine in the utility room. Parking is available in front of the house. 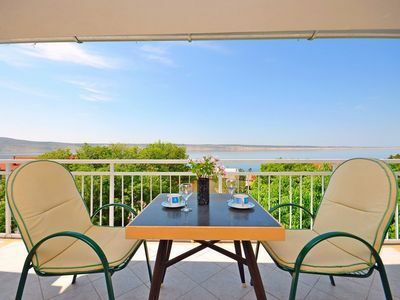 This beautiful apartment is located in Crkivenica in the coastal region of Kvarner. 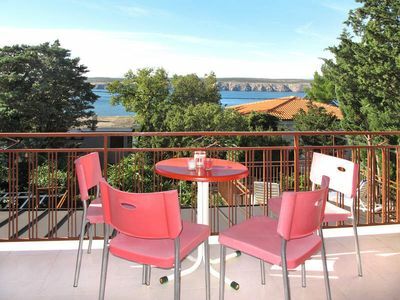 It is 500 meters from the sea and 600 meters from a sandy beach. It's only 300 meters to the restaurant and grocery shop. 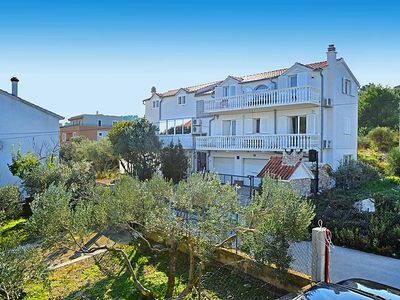 Crikvenica is characterized by a pleasant and mild Mediterranean climate which enabeled the development of health tourism as well as by long sandy and pebble beaches with many amenities for children. 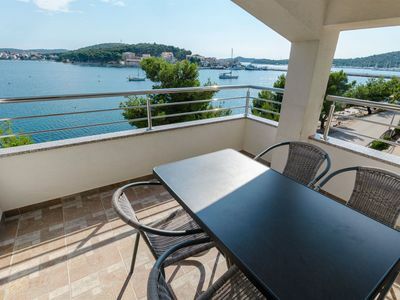 Take a walk along the promenade called Ljubavna cestica (Love path) and visit the Aquarium.